I recently got a Slik Mini II (amazon link) because I wanted something with a little more flexibility that the Joby Gorrila pod (amazon link), but still not too heavy. 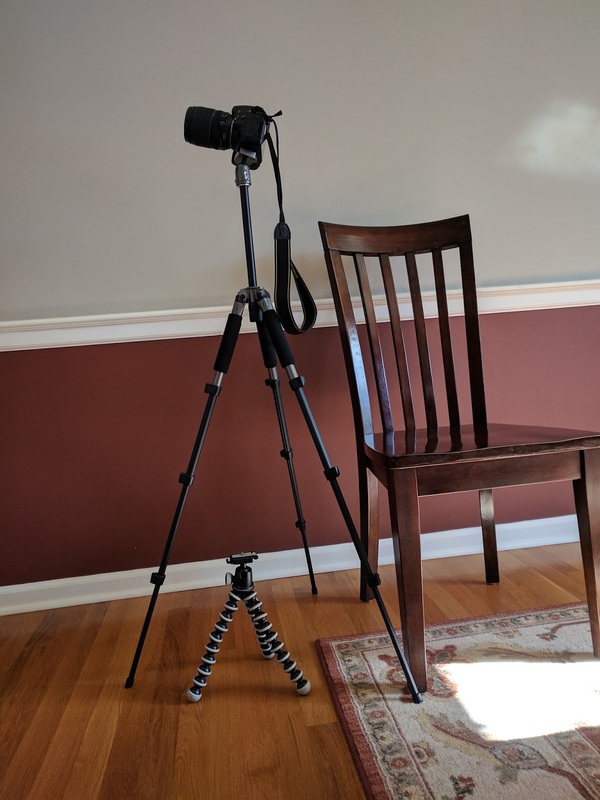 I've never had a "fancy" tripod, so I have no idea how this compares. The Joby is ~$50 and the Slik is ~$80. And 14oz vs 28oz, I wish I had just bought the Slik and skipped the Joby. I'm pretty happy with the stability of the Slik, but I never extended the center column. 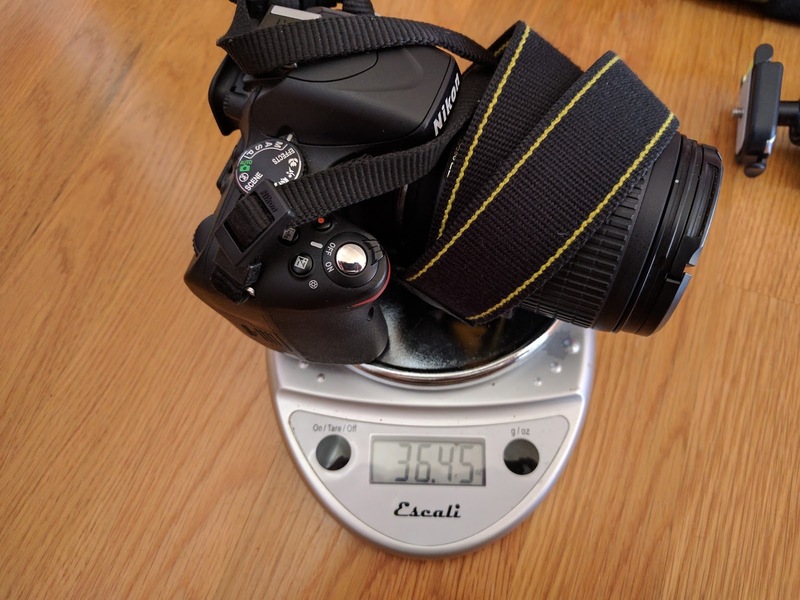 I'm not sure how well it would work with a heavier camera or a longer lens, but the price and weight make it a pretty good deal for my setup. The only thing that gives me pause is the locking mechanism for the legs, they are plastic and seemed a little "fragile" when the temperature was in the 20s. Hopefully, they will hold up. A couple photos for comparison. The camera is a Nikon D5100 with a 18-105 lens that weighs 36.45 oz. The ball head is solid enough that portrait mode photos were no problem, landscape mode was very stable. The chair is a "normal" dining room chair to give an idea about height. Without any legs extended, the Slik is very compact and easy to fit in the side pocket of my pack. With the center column extended as well. The legs have 3 positions (angles), this is the most extreme. Middle position of the legs. Steepest angle of the legs. Just picked up one of these to bring along on the longer backpacking trips. I removed the lower portion of the center column and replaced the ballhead with my Acratech. Can't wait to try it out in a few weeks...I think it's going to be much nicer to carry than my Gitzo on the longer trips. I'm still happy with mine. I wish I could get a tripod that looked like my last photo above. That would work for 90% of my needs and I assume it would be a lot lighter. But a little more than 1.5 pounds is not a huge amount to carry. How much does your usual camera setup weigh that you wanted to switch out the ball head? I haven't noticed any slipping with my D5100. Depending on the lens I use, probably between 3-5lbs, but I didn't really change out the ballhead because I was concerned about the weight. I changed it because I like and am comfortable using the Acratech ballhead I already have (plus it has some additional features), but also because I keep an L-bracket on my camera at all times and the ballhead that came with the tripod isn't compatible with it. I just bought a Joby, but I haven't had a chance to try it out yet. The Slik looks pretty cool. I don't need much, as I'll just use it on my Canon M5 and occasionally on my small Canon SL2 with a 70-200 lens. Do you think the Slik would hold a Canon 7D Mark 2 with a 100 to 400 lens? We're talking probably at least 4 pounds, maybe more. I think the tripod would hold that much weight especially if the legs weren't extended all the way, not sure about the ball head especially with a 400 lens. My biggest issue with the Joby was sometimes you have to lay down on the ground to frame a shot and that is with the tilt screen of my D5100, it was just frustrating to use for things like waterfalls or stars. I decided the weight penalty of the Slik was worth it since the rest of my backpack is reasonably light. hold a Canon 7D Mark 2 with a 100 to 400 lens? We're talking probably at least 4 pounds, maybe more. I bought this a few years ago an it has held up well. 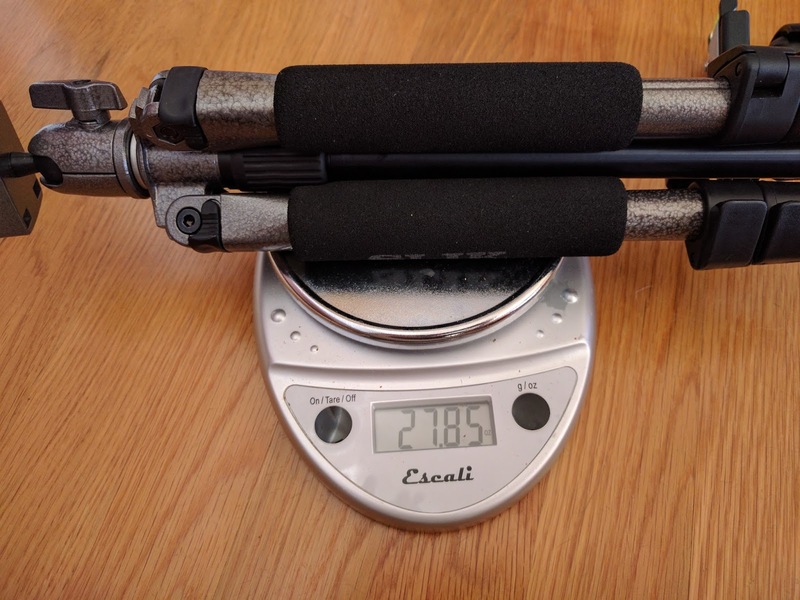 Holds up to 13 pounds, weighs 1.5lb itself. Costs a bit more, sure, but that's like three grand worth of gear you're perching on it lol. I like the light weight. It doesn't really seem that expensive compared to a lot of tripods. Thanks for the heads up. I bought one of these about 7 years ago. 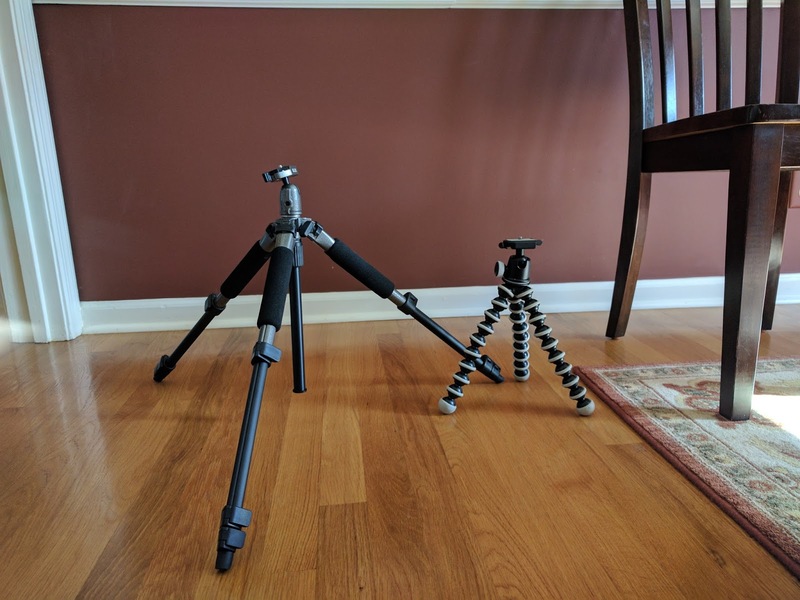 They're nice little tripods. 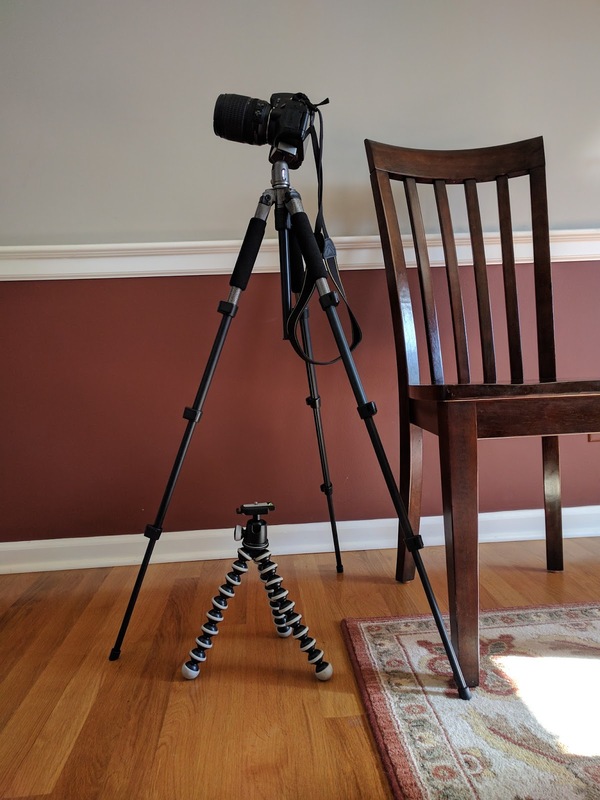 While I prefer to use my bigger tripod for most circumstances, I still pack this one on backpacking trips since it's over a pound lighter than the other one. I did have to change out the ballhead, though. It was fine at first, but I eventually experienced slipping when using my heavier lenses. Since changing the ballhead, I haven't had any issues. @IntrepidXJ - Did you get a chance to try this out? What did you think? Yes, I took it on an overnight backpacking trip a few weeks ago. I didn't end up needing to use the tripod as much as I expected, but it seemed to work well for what I need. Had I carried my Gitzo with me and not used it much I would have regretted bringing it along, but the Slik is so much lighter that it didn't bother me at all that I didn't use it, which is what I was looking to accomplish. 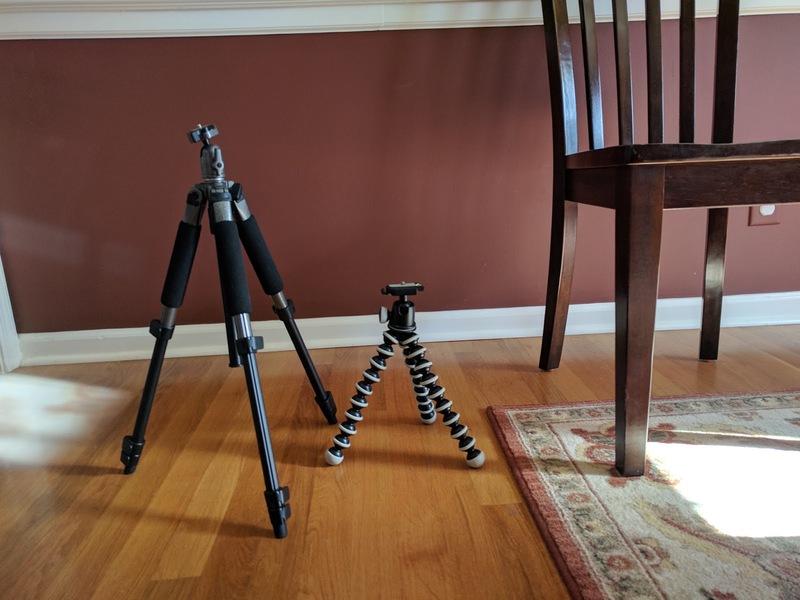 I no longer have to second guess if I should bring a tripod or not. Not sure if it will support my camera with the lens fully zoomed though, I think it would tip over frontwards. 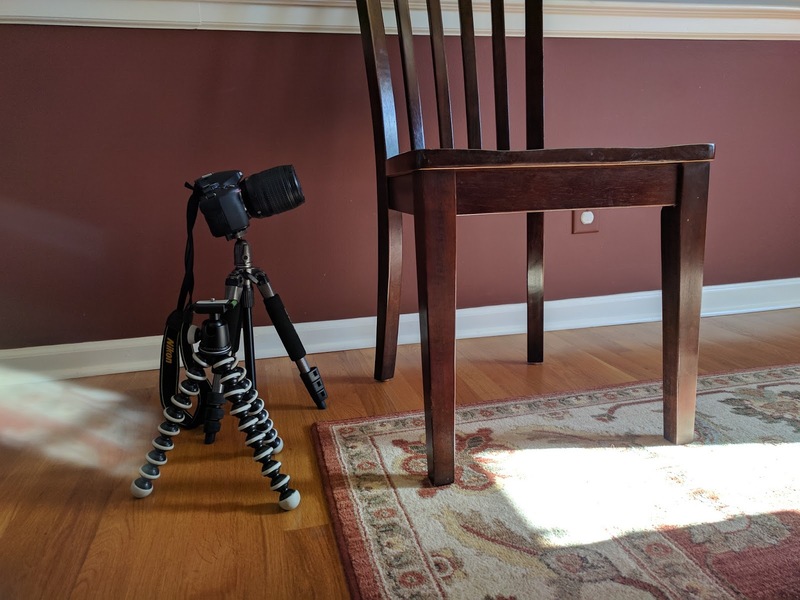 They are *very* light but if they won't do the job I'll have to go with a more traditional tripod like the Slik I suppose. 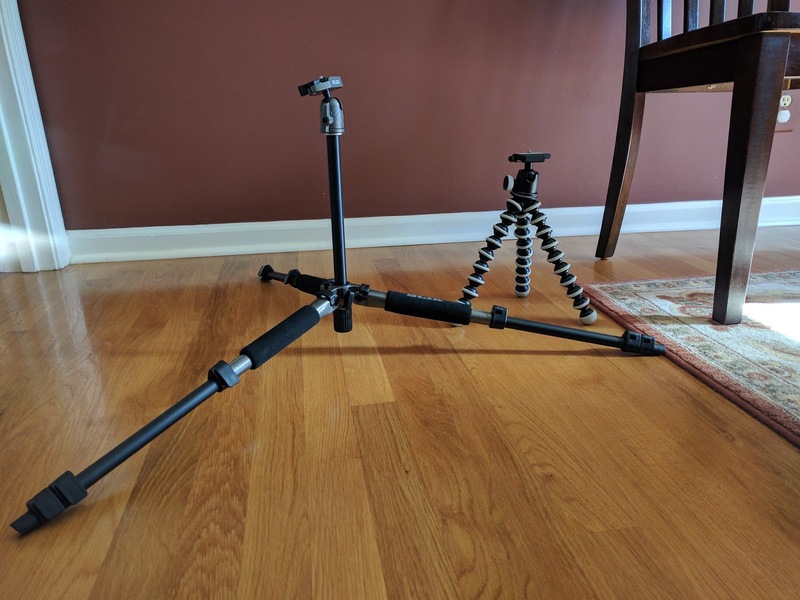 I still like it as a lightweight tripod for backpacking.